Apollo 15 was the fourth of NASA’s six missions to land on the Moon. OMEGA has created the Speedmaster Moonwatch Apollo 15 40th Anniversary Limited Edition to commemorate this important and successful mission. Apollo 15 was the fourth of NASA’s six missions to land on the Moon. It was the first to feature a long duration stay on the lunar surface and there was a greater focus on science than there had been on previous missions. Most notably, it was the first mission where the Lunar Roving Vehicle was used. The Apollo 15 mission began on July 26, 1971; the crew landed on the Moon four days later and they wouldn’t splash down until the 7th of August. The adventure had lasted more than twelve days! OMEGA has created the Speedmaster Moonwatch “Apollo 15” 40th Anniversary Limited Edition to commemorate this important and successful mission. It is a classic Moonwatch: it has a polished and brushed stainless steel case and bracelet, a black aluminum ring with a tachymeter scale on the bezel and a domed shatterproof hesalite crystal with Ω etched inside. Its three subdials are arranged in true Speedmaster Professional fashion on the black dial: the small seconds at 9 o’clock, the 12-hour counter at 6 o’clock and the 30-minute counter at 3 o’clock. 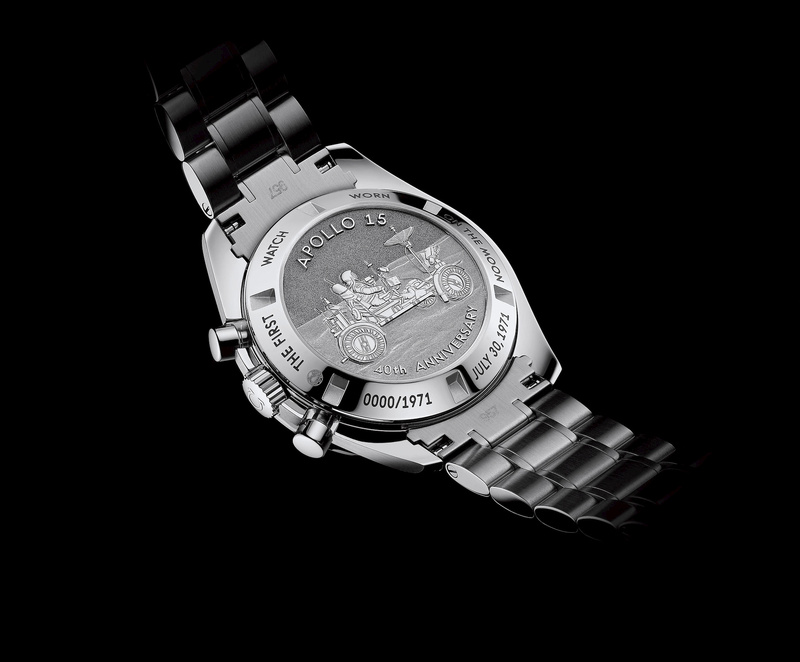 The screw-in caseback is embossed with an image of the Lunar Rover and the words “APOLLO 15” and “40th ANNIVERSARY”. 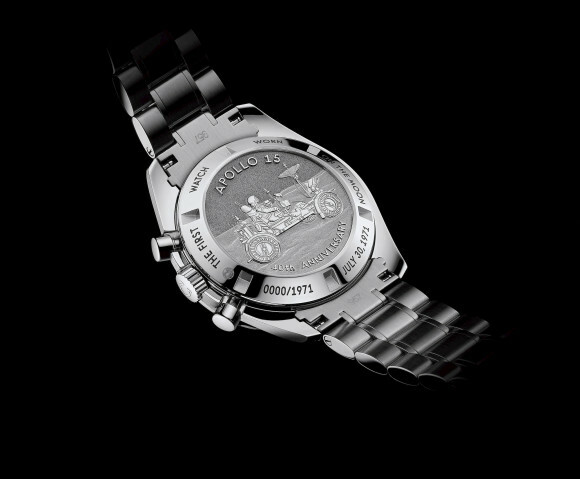 The outer circle of the caseback is black chrome engraved with “THE FIRST WATCH WORN ON THE MOON”, “JULY 30, 1971” and the limited edition number. 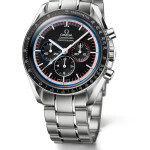 At the heart of the Speedmaster Moonwatch “Apollo 15” 40th Anniversary Limited Edition wristwatch is the classic OMEGA caliber 1861, the same manual-winding chronograph that equips the legendary Speedmaster Professional. 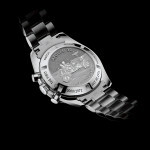 The OMEGA Speedmaster Moonwatch “Apollo 15” 40th Anniversary was created in an edition limited to 1,971 pieces. This entry was posted in Press Release, Speedmaster Professional and tagged 311.30.42.30.01.003, Apollo 15 on June 27, 2011 by Dale Vito.